On Wednesday, the United Nations Economic Commission for Africa (ECA) and the Africa Innovation Foundation (AIF) announced the call for applications for the 2013 Innovation Prize for Africa (IPA), which has a cash prize of up to US $150,000 (Sh8.45m). 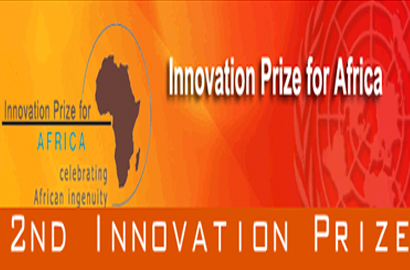 According to the organizers, the prize is targeted at supporting African development of new products, increase efficiency and cost saving. The competition has five categories in which proposals will be judged namely: agriculture/agribusiness; health and wellbeing; Information Communications Technologies (ICTs); environment, energy and water; and manufacturing and services industry. Egypt’s Mohammed Sanad won the 2012 edition taking away $100,000 at a ceremony in Addis Ababa, Ethiopia. Registration deadline for the 2013 prize has been set for 31 October 2012 with no possibility for extensions, according to the organizers.